In today’s busy world, there doesn’t seem to be much time for a proper house cleaning. When you’ve been working long hours, free time becomes even more valuable, and house cleaning gets put aside. A big part of enjoying your free time is coming home to a clean, orderly house. The solution used to be as comical as Rosie the robotic maid from the Jetsons. But today you can hire professional maids to take care of cleaning and sanitizing, so you can chill. Hire a local cleaning service you can trust and start spending time enjoying your life. A1 Sparkles offers the best house cleaning and maid services to local customers in Philadelphia, Montgomery County, Bucks County, Berks County, Chester County, Delaware County, Delaware and South Jersey. As the Tri-State’s best house cleaners, our goal is to offer you the best maid cleaning in the area. We are a family owned local cleaning company with maids dedicated to cleaning your home or business. If you’re searching for the best house cleaners at the best rates, you’ve found them! We don’t just clean, our mission is to make your home healthier. We provide the best cleaning supplies. HEPA filtered vacuums for improved air quality. Same two service providers every time. Remove lines and replace fresh sheets. Email and text message appointment reminders. 50 Point Checklist to ensure the best cleaning every time. Locally owned house cleaning company serving the Philly area since 1999. We want to do such a fantastic job; you’ll refer your friends and family! For last 19 years, A1 Sparkles has been providing high-quality house cleaning services to customers like you. 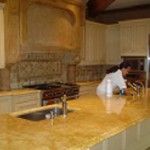 We custom design each house cleaning to meet your specific needs. Over the years we’ve built a solid reputation for the being the best maid service in Pennsylvania. Our maids are trained to be courteous, efficient, and effective. Our cleaning time is hugely productive and systematized. Our maids are house cleaners of the highest integrity. Housekeepers who love to clean and are looking for careers, not just a job. Finally, our maids are well paid highly respected professionals. Call us today to schedule your cleaning or feel free to check out our House Cleaning FAQ. If you are interested in our house cleaning services in the Philadelphia suburbs, then please call 610-292-9069 or complete our online request form.